Design/build, a method of project delivery where both design and construction are executed by one firm, can be a very efficient process due to single-point responsibility. The ASHRAE Member's Survival Guide provides a general background of the issues, consequences and liabilities that can result for those considering executing projects using the design/build approach. The importance of compatibility, communication and proper planning in preventing difficulties for the designer/builder and the client, is discussed at length. This can reduce potential friction between the builder and the design professional. The recommendations in this guide can be used to avoid misunderstandings and disputes, thereby avoiding complicated insurance and bonding issues. 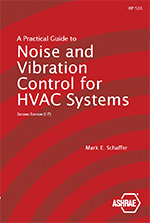 This document is part of The ASHRAE Member's Survival Guide. The other installments are "Contracts" and "Avoiding Pitfalls in Engineering Practice." "Contracts" comes with a three-ring binder into which all Survival Guide documents can be inserted as they are published. These documents are sold separately.